This time of the year is when sore throats start to appear. 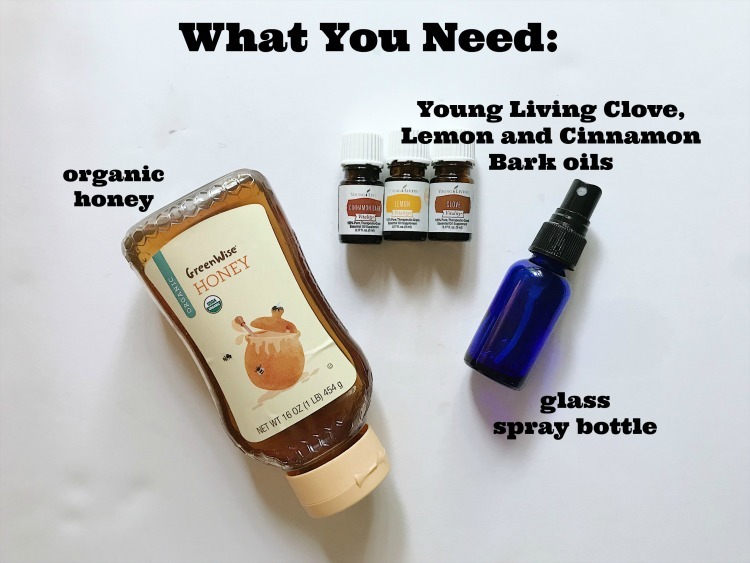 Hopefully you will not get one but if you happen to, this All Natural Sore Throat Spray will help your throat feel better quickly! Make sure to not ignore a slightly scratchy sore throat! 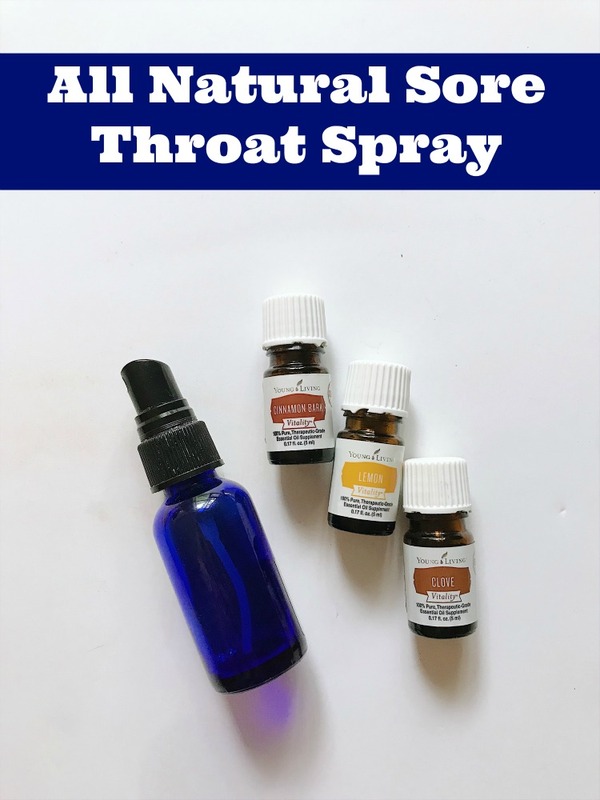 If you can take action quickly, this home remedy sore throat spray may help keep your throat from turning into a full blown super sore throat. This spray is made will all natural ingredients that are easy to find and are easy to use! You might even have everything that you need already. 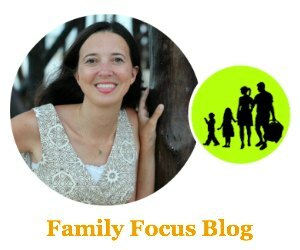 This information is not meant to replace the advice of a qualified medical professional nor is it intended to diagnose, treat, cure, or prevent any disease or health condition. Please consult with your physician if you have any health concerns. If you are pregnant, nursing, taking medication, or have a medical condition, consult a health professional prior to use. Grab your ingredient items and head to the kitchen counter. Remove the top from your spray bottle. Start by adding 1 teaspoon of your organic honey. The honey will help coat and soothe your throat. Next add 5 drops each of your Clove, Cinnamon Bark and Lemon essential oils. These oils all have antiviral and antibacterial properties. The Clove and Cinnamon Bark help to numb the throat and relieve pain. 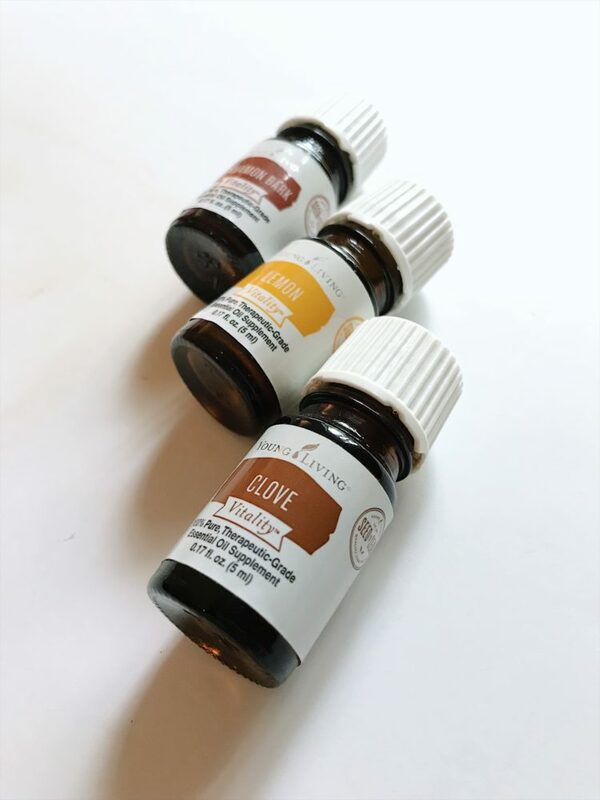 A few other properties of these 3 essential oils are immune-stimulant, anti-inflammatory and antiviral. All wonderful qualities to have in a sore throat spray! After you have added your honey and your essential oils for sore throat, fill the rest of your bottle up with purified water. Screw the spray top back on and make sure to give your home remedy sore throat spray a good shake before each use. Shake bottle and spray on the back of your throat 2-3 times. Use 3-4 times a day. Your throat will feel a little numb from the essential oils so know that is suppose to happen! Rest up, take it easy, eat well, and support your immune system! Have you ever made an all natural home remedy for sore throats before?